The Headline Index (calculated from an average of the Business Confidence, Market Growth, Sales, Prices and Staffing Indexes) signalled strong but slower economic activity in February. The Index came in at 57.4, down from 58.2 in January. The World Economics Sales Managers’ Index (SMI) for Africa is by far the most up-to-date monthly assessment of business conditions in the Pan-African economy. A reading above 50 indicates an expansion, while a reading below 50 indicates a contraction. Among the major economies covered, Egypt registered the highest reading in February (65.5), followed by Nigeria (60.8), Algeria (58.7) and South Africa (58.6). Egypt has been growing at a constantly solid pace since the coup d’état in 2013. In contract, Africa’s largest economy, Nigeria, has seen a slowing in overall level of economic growth during the same period. 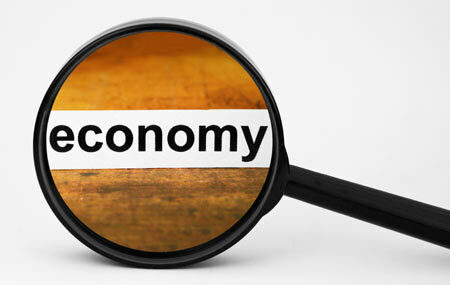 The Nigerian economy has steadily been eroded by the security situation in the north of the country, slowing growth and since the end of last year by a falling oil price. Neither of these political and economic pressures improved in February. The overall Pan-Africa Sector analysis shows that the February Manufacturing SMI fell to 58.0, down from 58.5 in January, and the Services SMI fell to 58.4, down from 59.8. These index values indicate, nonetheless, that business conditions across the African continent is expanding at a robust pace. The Business Confidence Index, which measures how Sales Managers’ expect the economy to perform over the coming months registered 69.9 in February, down from 70.2 in January. This indicates the second month of consecutive declines but shows that the majority of panellists across Africa remain very optimistic about future business conditions. Meanwhile, the Market Growth Index stood at 58.2 in February, down from 59.2 in January. This signals the third consecutive monthly decline and the slowest pace since September 2014. However, the latest reading continues to point to strong levels of market expansion. The Product Sales Index fell sharply to 54.2 in February, down from 57.0 in January, indicating that sales are increasing at a modest pace. The slowdown in the level of monthly sales reflects the decline in both business confidence and market growth and a slight increase in prices. Although the Prices Charged Index improved marginally in February, the latest reading of 52.9 suggests that Sales Managers across Africa continue to rise prices at a modest pace. The Staffing Levels Index, which reflects the number of staff taken on compared to the same period last year, fell to 51.9 in February, down from 52.5 in January, reflecting a slightly weaker pace in job creation across the continent.